Only The People Can Save America! But if the People don't know how to have government by consent as Thomas Jefferson declare in the Declaration of Independance then you can not control your government and you can not have Liberty. The purpose of National Libery Alliance is to educate People in how you can take control of government and secure our Liberty. Only you can prevent tyranny! It has become abundantly clear that President Trump working with military intelligence is taking down the deep state and the truth of all their worldwide evil and chaos will soon be revealed to the sleeping populous when the mass arrests take place. This will cause a huge “vacuum of power” that must be filled by We the People. Presently the United States Supreme Court, Federal Judicary, Congress and even most People believe that we are a democracy and not a Republic. Congress will continue to legislate destructive statutes and the statutory courts will continue to enforce them. The United States is NO LONGER a Republic; the Law of the Land and our Bill of Rights are ignored by the courts and has been replaced by the statutes of depraved men. Our state and federal courts operate under the “Rules of Civil [law] Procedures”, civil law is statutory law that they deceitfully claim supersedes our Constitution. NLA is the only organization with a plan to return our servant government back under the Constitution. NLA formed in 2012 and has filed hundreds of papers in the federal courts proving subversion as we waited for the right time to file suit against the Federal Judiciary, Supreme Court of the United States, House of Representatives Judiciary Committee, Senate Judiciary Committee, U.S. Department of Justice, National Lawyers Guild, and the American BAR Association for colluding, in one accord and thereby changing our Courts of Justice under the Law of the Land to statutory courts of injustice under the law of men. Because we are suing all judges and the BAR, said judges cannot sit as magistrate or assert a decision in this Common Law case. (1) We must take back our courts by suing the Federal Judiciary, US Supreme Court, House of Representatives Judiciary Committee, Senate Judiciary Committee, U.S. Department of Justice, National Lawyers Guild, and the American BAR Association. NLA has received $5000 in donations to accomplish this goal and is moving forward with the lawsuit now! Total Cost to print, package and mail = $58,500. We have collected $13,000.00 and still need $45,500.00 to achieve our goal. Therefore we are asking our members who have not given yet to please give a onetime donation of $50 or more. Go to > https://www.nationallibertyalliance.org/support-national-liberty-alliance < and donate. (3) We must take back our political process, without the politics, by resurrecting the elected committeeman. We cannot do this until we take our courts back and then we will train People in this simple process. After We the People achieve the aforesaid three (3) goals and the President takes down the Deep State and the Fed (IRS) we will have government by the consent of the People. To keep up-to-date attend our Weekly meetings every Monday at 9PM to Midnight EST. go to > https://www.nationallibertyalliance.org/mondaycall < for details to join us or download the MP3 to listen at your leisure. 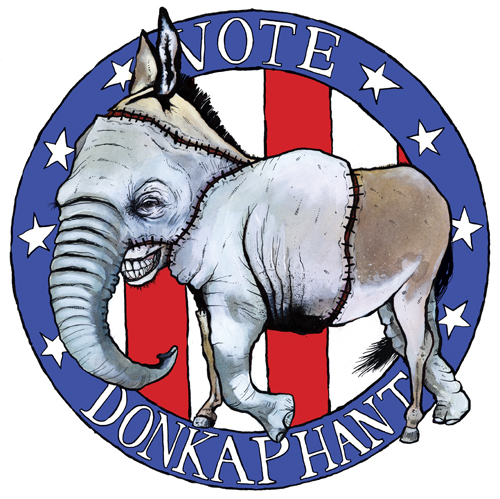 To donate $50 or more by check, credit/debit card, pay pal or money order go to > https://www.nationallibertyalliance.org/support-national-liberty-alliance < HELP MAKE AMERICA GREAT AGAIN! We ask ALL our members to act NOW! Thank You. 18 USC §2385 – Whoever organizes or helps or attempts to organize any society, group, or assembly of persons who teach, advocate, or encourage the overthrow or destruction of the Republic a/k/a Law of the Land by force or violence; Shall be fined under this title or imprisoned not more than twenty years, or both. What kind of Government do we have? If you believe America is worth Saving, "Please Donate $5 a month or More" so that we can continue our court filings, continue putting our elected servants on notice, continue building our National Emergency Communication Network and continue organizing Jury Administrations and Committees of Safety's in every American County. When we accomplish these five (5) goals in most American Counties We the People will be poised for success in warding off any thing the enemies of Liberty can throw at us. 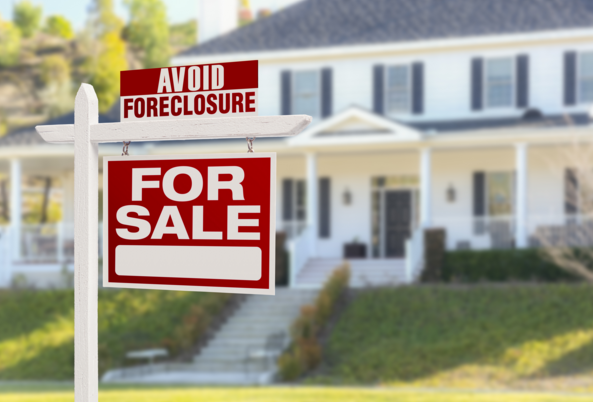 Tax and Mortgage foreclosure help CLICK HERE. If your unalienable rights have been denied and/or you have been mistreated in prison CLICK HERE to add your affidavit to our case. Power of the Grand Jury - In a stunning 6 to 3 decision Justice Antonin Scalia, writing for the majority, confirmed that the American grand jury is neither part of the judicial, executive nor legislative branches of government, but instead belongs to the people. It is in effect a fourth branch of government "governed" and administered to directly by and on behalf of the American people, and its authority emanates from the Bill of Rights, see United States -v- Williams. Now is the time to take back the rule from our oppressors! Due to extraordinary circumstances, on November 10, 2014 We the People from all fifty states unified as United States Common Law Grand jury for the purpose of saving America by returning Justice, and thereby the rule of Law, to our courts which will permeate all three branches of government. Through the power vested in We the People by God, a Writ Quo Warranto was filed in all 94 Federal District Courts and served upon every elected state and federal servants and officers of the court, reminding them of their limited power; “In the United States, sovereignty resides in people… that Congress cannot invoke the sovereign power of the People to override their will as thus declared,” Perry v. US, 294 U.S330; and "The very meaning of sovereignty is that the decree of the sovereign makes law," not the servant, American Banana Co. v. United Fruit Co.
Because of arrogance, greed and ignorance our Writ was met by “silence which can only be equated with fraud where there is a legal or moral duty to speak, or where an inquiry left unanswered would be intentionally misleading....,” U.S. v. Tweel. "Bad faith and fraud are synonymous, and also synonyms of dishonesty, infidelity, faithlessness, perfidy, unfairness, etc.," Joiner v. Joiner. Therefore, on May 13, 2015 We the People re-filed Writ_Quo_Warranto pdf to be followed by a series of Writ Mandamuses, exposing in-depth violations; and commanding said servants to obey and perform specific actions, remember their sworn guarantee to every state in this union a republican form of government and to protect each of them against invasion, Article IV Section 4; failure to comply with their oaths makes them enemies of the People. Now is the time to pay attention, take a stand and prevent these tyrants from building their dark cities. Become empowered read the Writs because we must "educate and inform the whole mass of the people... They are the only sure reliance for the preservation of our liberty." 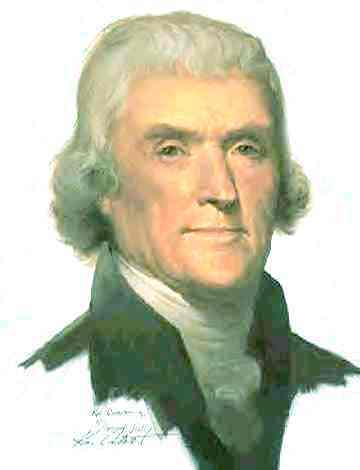 Thomas Jefferson; and then join NLA as we take this battle to the courts and our federal city. The Line in the Sand - Breaking News November 10, 2014 Unified Common Law Grand Jury in every State files writ_quo_warranto.pdf in every Federal District Court, United States Supreme Court and served upon every Federal Judge and all 9 US Supreme Court Justices. Information in the nature of a quo warranto. A proceeding against the usurper of a franchise or office. Jarman v. Mason, 102 Okl. 278, 229 P. 459, 460.; An extraordinary proceeding, prerogative in nature, addressed to preventing a continued exercise of authority unlawfully asserted. Johnson v. Manhattan Ry. Co., N.Y., 53 S.Ct. 721, 289 U.S. 479, 77 L.Ed. 1331. watch the Video below. There are 3141 counties in the United States of America. Our goal is to educate and organize in your county to reinstate and initiate the Common Law Grand Jury. Each county should eventually find four people (administrators) who will work full time (paid positions) to administrate and orient the jurist. These four people should partnership with the four in each county throughout your state. In reality there is only one Grand Jury within a state with locations in each county. 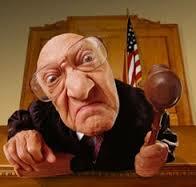 We can draw off the jury pool from any county if necessary. When the administrators of each county come together on an issue they can use the seal of each county on an arbitration or presentment document which can produce extraordinary results. But in order to be successful we must first seek the blessings from the "GOVERNOR OF THE UNIVERSE" and build our endeavor upon Him and His principles (1) HONOR, (2) JUSTICE, and (3) MERCY. This is the only sure foundation, any other will succumb to tyrants. When we reinstate the Common Law Grand Jury in all the counties of a state then the people will have control of their state government. We presently have 48 States that have joined this project. To find out how watch the powerful video above. To become an organizer for your county click on "Yes" when you register to join. THINK ABOUT THIS! If we the people can reinstate Justice and demand that elected officials and bureaucrats obey the law or be indicted, we would have then succeeded in reinstating the Constitution, and save our Republic! Only the People can stand up and defend the Constitution because the Constitution cannot defend itself, and bureaucrats will never do it WATCH THE VIDEO ABOVE AND FIND OUT HOW! Blacks Law states; the word Justice is synonymous with virtue. Therefore only a virtuous People can return justice to our courts and save America. Since virtue, as is Liberty, is a gift of God it will require the blessings of God to be independent and virtuous. Blessings requires obedience, obedience requires knowledge of His will and knowledge of His will requires a relationship, without which there is no Liberty. Therefore to know God is to know Liberty and to the contrary no God no Liberty. ALERT! - Defenders of the Constitution now considered Terrorists. WHAT TO DO NEXT - JOIN OUR ENDEAVOR by clicking the Register link at the top right side of this page. After you log in click on the "Jurist Tab" that will appear on the navigation bar above and you will see Step by Step by step instructions on what to do next.